With Campaign McGill hitting the homestretch, Marc Weinstein has been reappointed Vice-Principal (Development and Alumni Relations) for a six-year term ending on June 30, 2018. Since his initial appointment to the position in April 2008, Weinstein has spearheaded the University’s $750-million fundraising campaign, the largest and most ambitious ever undertaken by a Canadian university at the time. He also oversees the broad dossier of alumni relations. With Campaign McGill hitting the homestretch, Marc Weinstein has been reappointed Vice-Principal (Development and Alumni Relations) for a six-year term ending on June 30, 2018. Since his initial appointment to the position in April 2008, Weinstein has spearheaded the University’s $750-million fundraising campaign, the largest and most ambitious ever undertaken by a Canadian university at the time. He also oversees the broad dossier of alumni relations. Under his leadership, gifts and pledges to Campaign McGill have surpassed $700 million, and the Campaign is well on its way to reaching its $750-million objective despite overlapping with one of the worst economic recessions since the Great Depression. On the alumni-relations side, programming has been expanded to engage a wide range of constituents – particularly young alumni, graduates living outside of Montreal and the parents of current students. DAR has became a national leader in the use of digital communications and social media to reach out to alumni and donors, highlighted by novel initiatives such as the “Six Word Campaign” and the “Greatest McGillians” contest. 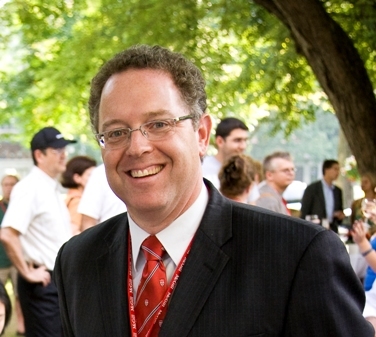 Weinstein joined McGill in June 2005 as Assistant Vice-Principal of DAR and Director of University Campaigns after playing a key role in planning and implementing the $300-million “Best Care for Life” campaign at the McGill University Health Centre (MUHC) Foundation, where he served as Vice-President and General Counsel. A native Montrealer, Weinstein has a Bachelor of Arts degree from McGill (1985), a Master of Arts degree from York University in Toronto (1987) and both Civil Law (BCL) and Common Law (LLB) degrees from McGill (1991). He is a member of the Quebec Bar and sits on the Board of Directors of the MUHC Foundation.